The H. Upmann 1844 Reserve is the culmination of everything a cigar should be. These stogies combine the smooth, velvety balance of Dominican filler leaves and the earthy richness of Nicaraguan binder tobacco with the sweet spice of an Ecuadorian Cubano wrapper leaf to create a medium-to-full-bodied smoke that truly stands on its own. H. Upmann has long been the standard for outstanding blend complexity and phenomenal construction; H. Upmann 1844 Reserve keeps this tradition alive. This is a good cigar from start to finish. It burns evenly and ashes well. I will be ordering more of this these cigars. There's a reason they're 94-rated. Buy a box and enjoy! This cigar is well constructed, packed with tobacco and had no blemishes on the body of the stick. It had a razor sharp burn and held a long ash. The flavor was decent, especially if you like a peppery smoke. Lots of earth, tobacco and pepper with this one. Not bad just not great for my flavor profile. H. Upmann Belicoso should be rated higher! 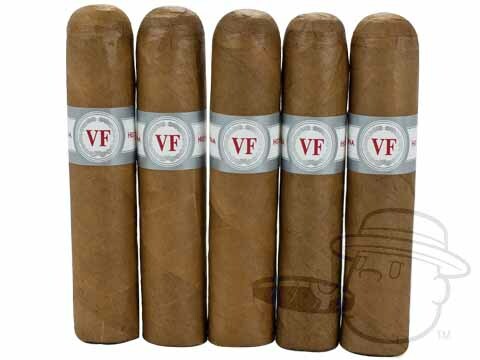 For me thse are up there with Fuente and Pardon - the best you can get for the money. So smooth and earthy and never a bad aftertaste, these deserve higher than 94 rating. I give them 100! I like to try different cigars, usually by purchasing the 5 paks. This is the cigar that I always have in my humidor because it is consistently good. It is my benchmark. 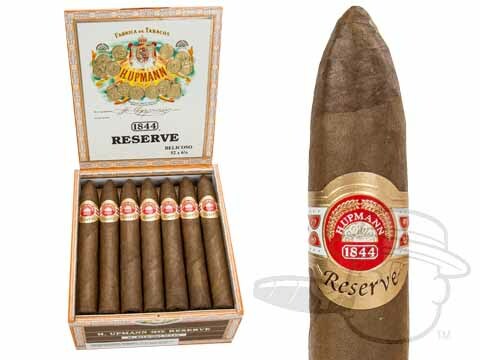 H. Upmann 1844 Reserve Belicoso is rated 4.9 out of 5 based on 6 customer ratings.